SBM has 30 years’ experience in construction and mining equipments, and is known for its rugged, dependable product and warmhearted meticulous service. Our construction and mining equipments have been warmly popular all over the world. Ball mills are used primary for single stage fine grinding, regrinding, and as the second stage in two stage grinding circuits. 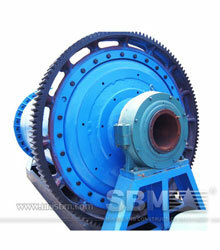 According to the need of customers, ball mill can be either wet or dry designs. These mills are sized from 2 t/h to 30 TPH for wet grinding and from 0.5 t/h to 30 TPH for dry grinding. Ball mills have been designed in standard sizes of the final products between 0.074 mm and 0.4 mm in diameter. So, ball mills are suitable for both general mining applications such as cement, concrete making and quarry applications. As ball mill manufacturer in China, SBM is ready to help your grinding industries to offer the ball mills with best price. Located near Gällivare, northern Sweden, Low-grade open pit copper mine started in 1968 at a production rate of 2Mt/y of ore. Since then, a series of pushbacks have increased output to approximately 19Mt/y. The concentrator, expanded in parallel, ships over 200,000t/y to the Ronnskär smelter. Autogenous and ball mill grinding is followed by conventional flotation, the system design being typically ‘Boliden’. It has been enhanced by the installation of Microcel flotation columns. The plant’s capacity is around 250,000t/y. 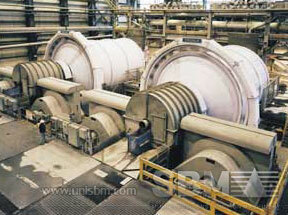 "Comparing other type mills, SBM Ball Mills provide the lowest total installed cost. Typical installation time for the ball mill is several days as compared to several months for a trunnion bearing type mill." CIMENTS DU RWANDA LIMITED (CIMERWA), a company now owned by RIG was established in 1984. Currently the CIMERWA cement plant produces about 70,000 tonnes per annum (tpa) of clinker equivalent to 100,000 tpa of cement using the wet process of cement manufacture. CIMERWA now proposes to expand its cement production capacity to 600,000 tonnes per annum. SBM supplies wet ball grinding mills for the cement project located in Muganza Sector, Rusizi District of the Western Province. if you want to konw about ball mill parts,price,design,operation and so on, you can contact our service. "The SBM ball mills are most efficient when the maximum feed size is less than 2", the shape of the ball mill provides a classifying action within the mill resulting in increased efficiency and lower power consumption."